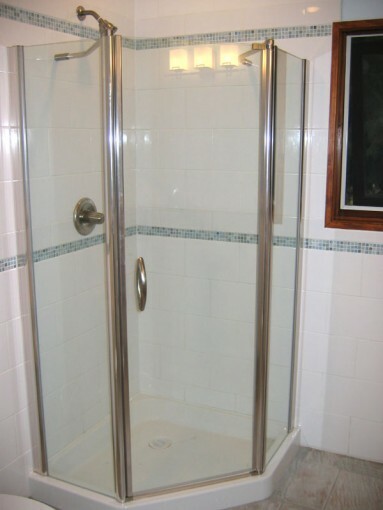 The glass shower stall chosen by the owners suited the clean lines and contmeporary look of the bathroom. We were hung up a bit on finishing the shower stall because the shower doors were back ordered, and the plumber needed to make some adjustments to the drain placement to allow the pan to fit properly. When the shower doors did arrive, we were able to finish the bathroom, and it looked like a totally different room to what was there before. Goodbye 1970s, hello 2010! The floor tile in this bathroom was a neutral grey colour, which combined with the 8″ x 12″ white tile on the walls gives the bathroom a clean, modern look. A heated towel rack added a bit of the luxurious to this bathroom reno. 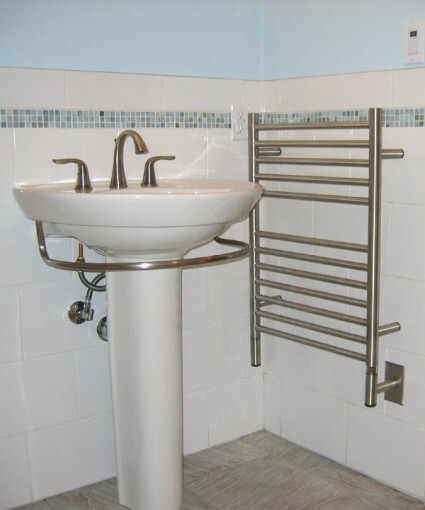 And the uncluttered modern look was continued in the pedestal sink with towel bar underneath. 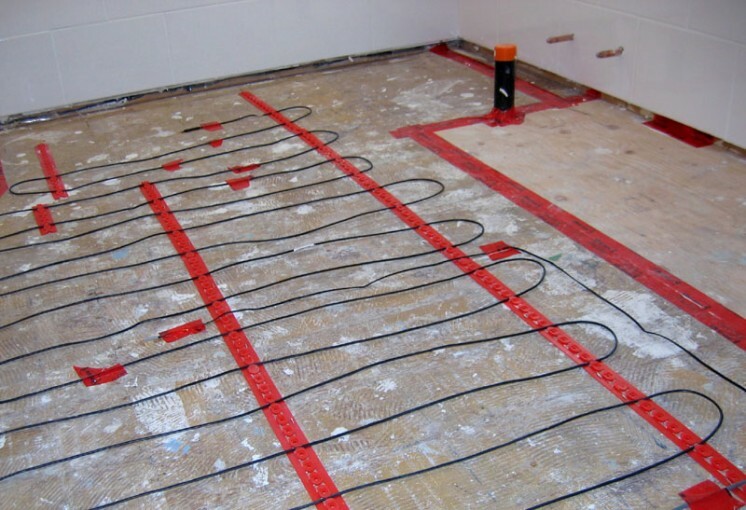 Self-leveling cement was poured over the wiring of the in-floor heat system to level the floor. Then Schluter-DITRA was layed down in preparation for the tile. Usually under tile, two layers of 5/8″ plywood subfloor is necessary for the proper rigidity to prevent cracking. Yet this would have made the bathroom floor much higher than the hallway floor. 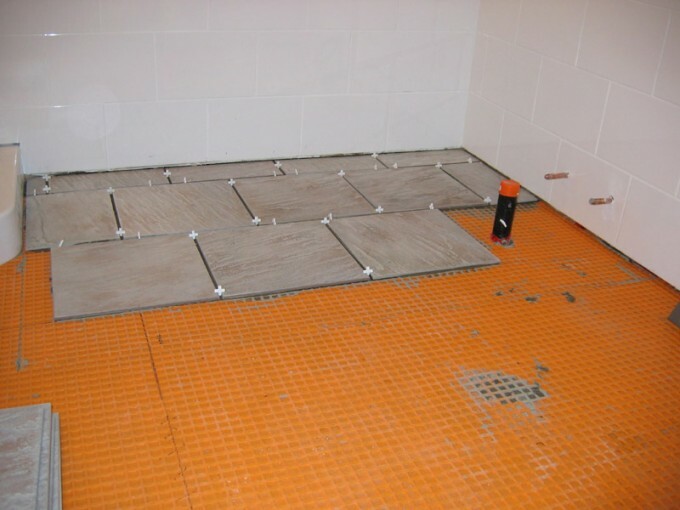 The Schluter-DITRA grid system is only 3/16″ thick and replaces one of the layers of plywood.